When faced with the prospect of a customer with an expired and extended bridging loan, with other covenant breaches, most banks run a mile. Redwood Bank is different. Redwood loves a challenge. Fortunately, for entrepreneur Raj Kumar, this particular challenge came to the attention of Redwood’s team of experts. They embraced the complexity of the situation and displayed unrivalled speed, service and flexibility to ensure a smooth, workable solution was in place, that suited all parties. Raj is the majority shareholder in Borough Junction Ltd, which owns nine office buildings and the freehold of a block of 12 offices in Barking. The original purchase had been made thanks to a bridging loan, even though initially the income being generated was insufficient to service the debt. However, Raj knew the potential of the site and used his commercial property experience and local market knowledge, to increase income before this became an issue. Increasing income however took longer than expected, so additional capital was injected into the company to buy time, whilst longer term finance was sourced. Having been introduced to Raj by Manish Babla and Sanjay Rughani of Sterling Professional Finance Ltd, Redwood set about finding a way to clear the expensive short-term borrowing, which could have nullified the success of Raj’s operational business. 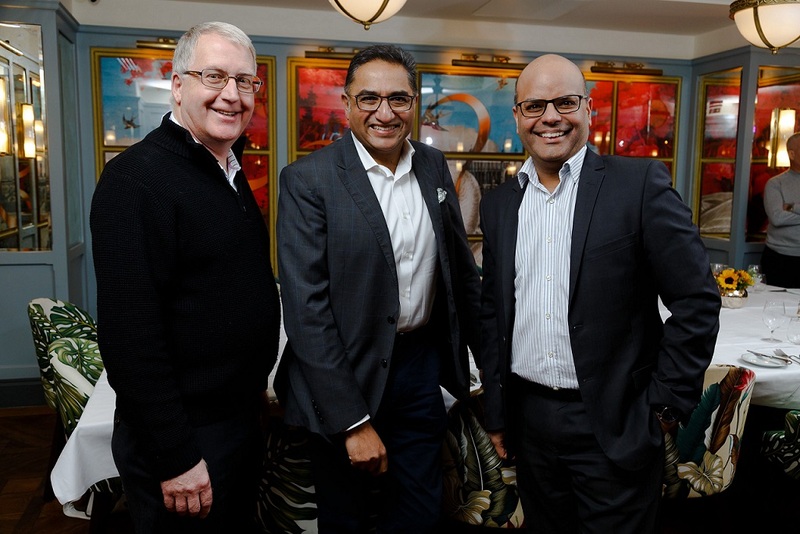 Left to right: John Hall Business Development Manager (South & East), Sanjay Rughani and Manish Babla. Other lenders were not keen to support until a period of loan serviceability had been established, but in order to help the company, a longer-term solution was urgently needed. Redwood initially agreed a loan to refinance most of the outstanding bridging loan, with Borough Junction Ltd itself looking to make up the shortfall. However, it soon became clear that the shortfall was too large to make this viable and so Redwood reviewed their offer, taking a more flexible approach in respect of the net income being generated from the property. A revised loan, of almost £3 million was agreed, with drawdown taking place just 18 days later, minimising the substantial weekly interest penalties which were being incurred by Borough Junction Ltd.
By them not taking a rigid, standard banking view of the proposition, and adopting a more relaxed and open approach, Raj felt he would be more comfortable dealing with Redwood. At the time, proposition was outside the Bank’s current standard policy on single asset value and term of the loan but Redwood’s ability to be innovative and flexible in their thinking, allowed them to develop a workable solution for all parties. John Hall of Redwood Bank said: “Getting the customer to buy in to the personalities behind the bank sold this deal to Raj, as it gave him the comfort he was looking for, in that we were here to help rather than putting obstacles in the way. For further details about Sterling Professional Finance, visit: www.sterlingpf.com.